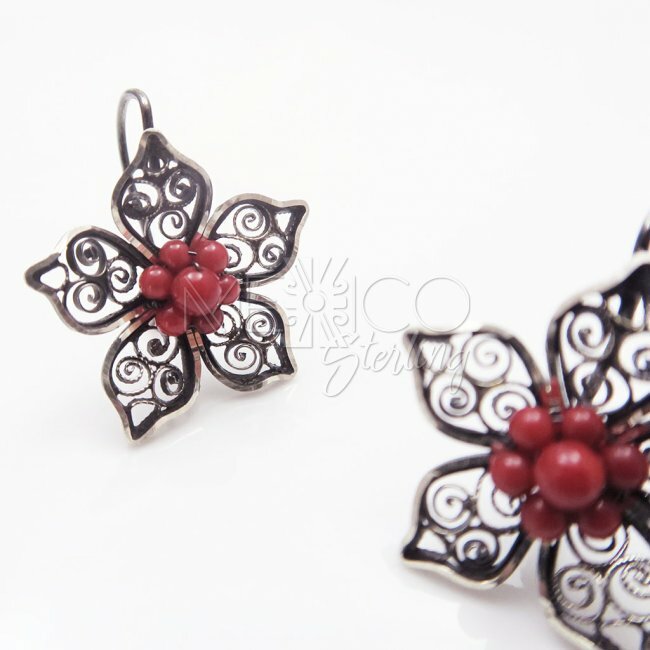 Oaxaca Silver Noche Buenas Earrings [EAR3401] - $46.00 : Mexico Sterling Silver Jewelry, Proundly from Mexico to the world. 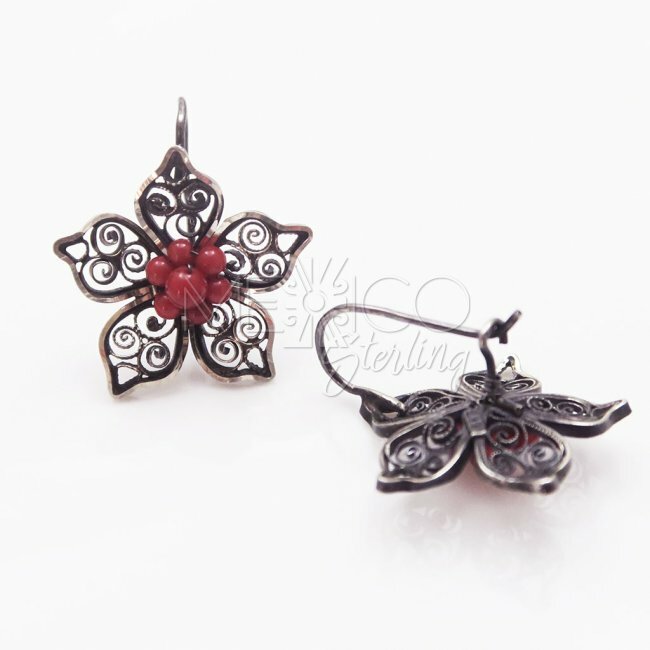 Dimensions: W: 1" L: 1 1/8"
Gorgeous Oaxaca silver filigree earrings with a very feminine touch, These silver earrings carry such an artistic built, that makes them even more beautiful to the eye. 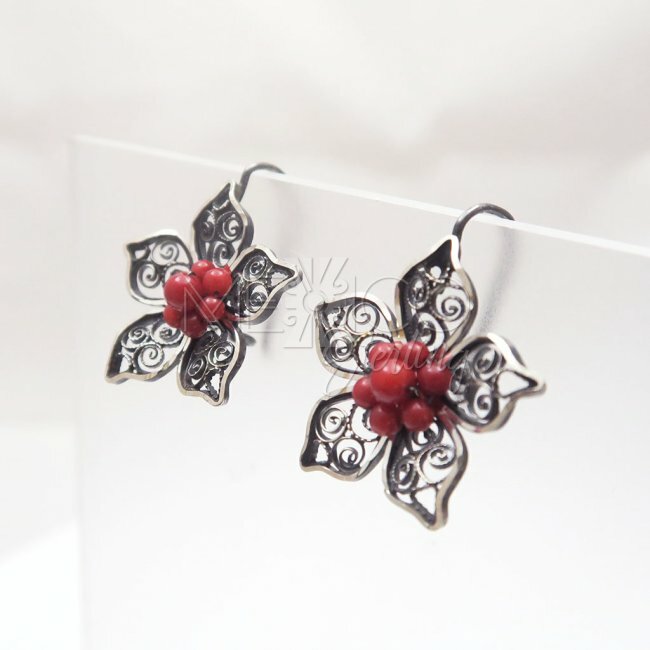 These are completely handmade, artisan earrings, made in Oaxaca, Mexico. They have a very simple yet powerful design, that I compare with the "Noche Buenas" (Poinsettias) these are flowers that are mostly seen in Christmas time. They are, what I call, friendly flowers, full of life and mystic beauty. 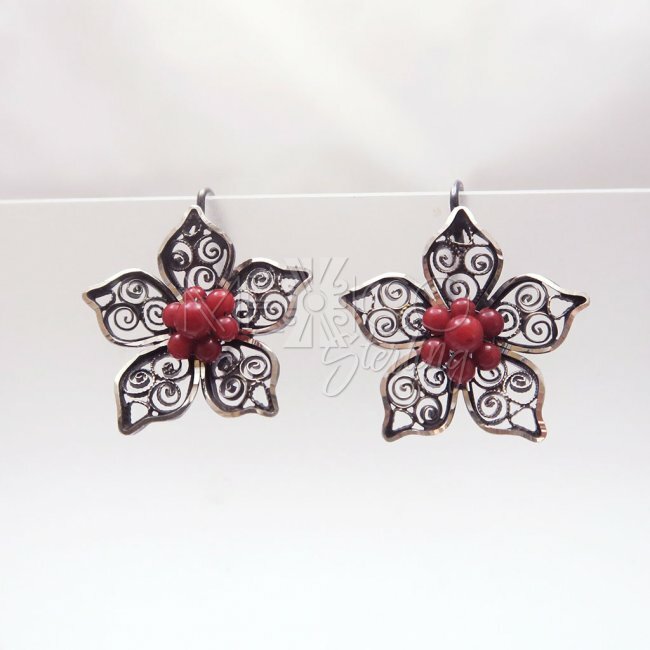 The silver filigree work on these earrings is simple but very attractive to the eye. 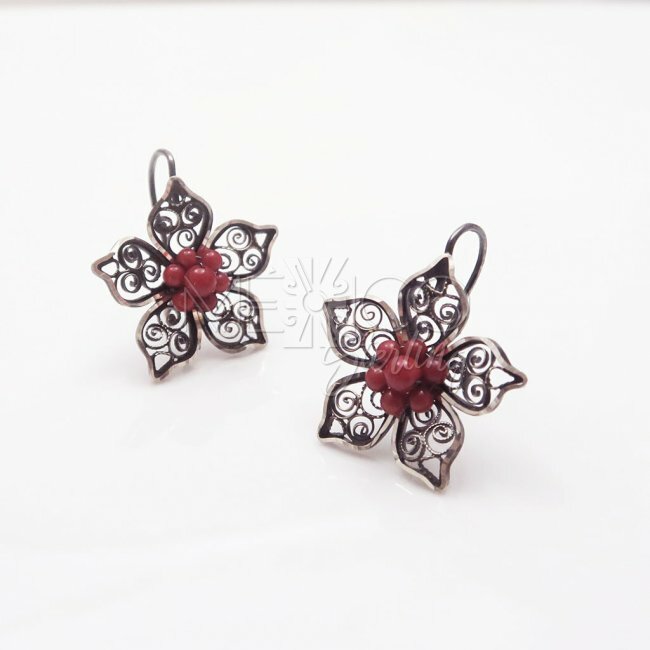 I would also like to mention, that the red beads at the center point, are not natural stones, they are faux gemstones that decorate the whole centerpiece in a very nicely way. Please take a closer look at the extra photos, for more details on these beauties.